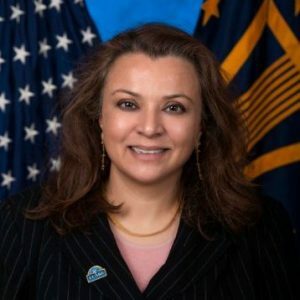 Less than six months into her tenure as the Department of Veterans Affairs’ chief information security officer, Roopangi Kadakia has been tasked to lead the agency’s cloud efforts. Dominic Cussatt will take over as acting CISO, according to an internal agency memo obtained Wednesday by MeriTalk. Kadakia, a former Web services executive at NASA, took over the VA CISO role last July when Brian Burns left the agency. At the time, she was the fifth person to hold the CISO slot at VA in less than a year. The leadership change is designed to “set OI&T up for success in modernizing our systems and eliminating our material weaknesses,” Thomas said. Cussatt moves into the acting CISO role from his executive director role in charge of VA’s Enterprise Cybersecurity Strategy. Before joining VA, Cussatt served in the deputy CISO role at the Defense Department, where he oversaw the creation and maintenance of all DoD cybersecurity policies and strategies, and led the Federal initiative to normalize disparate and disjointed IT risk management and security policies across the government.